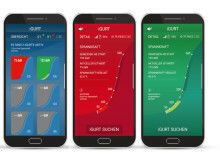 Wiehl, 19 March 2019 --- What exactly is ‘good design’? To many people, this primarily means an aesthetically pleasing product design. The iF DESIGN AWARD 2019, on the other hand, illustrates that good design is above all a matter of purpose and concept – and recognised the international mobility and system partner BPW for a product that consumers will probably never see. 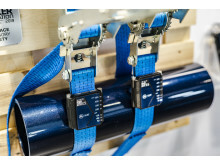 The iF DESIGN AWARD 2019 was awarded to the BPW iGurt in the ‘Professional Concept’ discipline’s ‘Safety’ category: the iGurt is a handy information system that can be attached to a lorry’s lashing straps in just a few simple steps and monitors their preload during lashing and driving. This gives the driver an overview of the tensile force being exerted on the lashing strap while lashing. 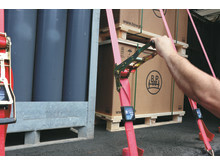 This makes it possible to permanently monitor and seamlessly document that the cargo has been secured correctly; it also reliably prevents damage to sensitive cargo caused by lashing the straps too tight. This greatly increases safety, as improperly secured cargo is frequently the cause of wobbling and tipping lorries on the road. In fact, an inadequately secured load is thought to be the cause of about 20 to 25 per cent of traffic accidents involving heavy goods vehicles. 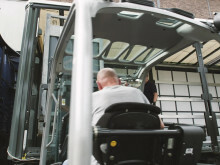 The iGurt system also pays for itself quickly: it leads to less damage to the load and thus to lower staffing costs for processing damage claims. 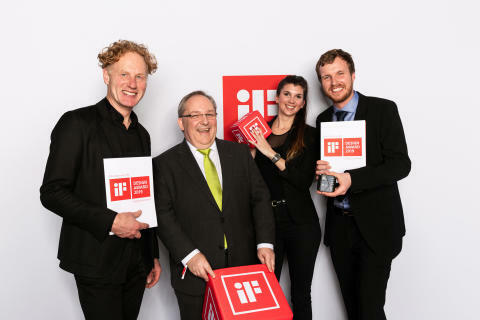 The iF DESIGN AWARD is presented once a year by the world’s oldest independent design institution, iF International Forum Design GmbH, from Hanover, Germany. Thanks to its innovative concept, the iGurt impressed the 67-member, independent jury of international experts. Numerous candidates submitted entries: the jurors had to award the coveted seal of quality to one of 6,400 submissions from 50 countries. BPW (approximately 7,200 employees worldwide, 1.48 billion euros turnover in 2017) developed the concept and design of the iGurt in joint workshops with forwarders, logistics companies, as well as security and insurance experts. The overall technical concept came from BPW’s mechatronics team, which was also responsible for the intuitive design of the smartphone app. The robust housing of the iGurt, which can easily be attached to the lashing straps via a folding mechanism, was designed by the Solingen design studio Kurz + Kurz Design. The BPW iGurt was named ‘Trailer Innovation 2019’ immediately after its premiere in September at the IAA Commercial Vehicles fair in Hanover. This prestigious industry award is presented by a jury of 16 international specialised journalists and experts from the Association of the German Automotive Industry. 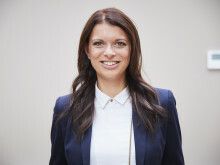 WirtschaftsWoche magazine also presented the ‘Best of Consulting’ award to the consulting firm Innovative Management Partner (IMP), which supported co-innovation activities with transport companies on behalf of BPW as part of the development of the iGurt. The iF DESIGN AWARD 2019 illustrates that good design is a matter of purpose and concept – and recognised with BPW's iGurt a product that consumers will probably never see. 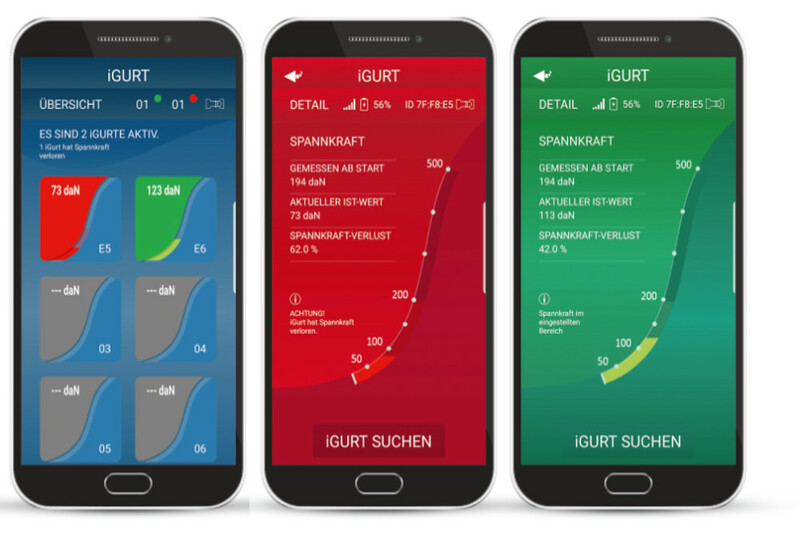 The iGurt comes with an intuitive app that immediately raises an alarm if the pre-tensioning force is lost. 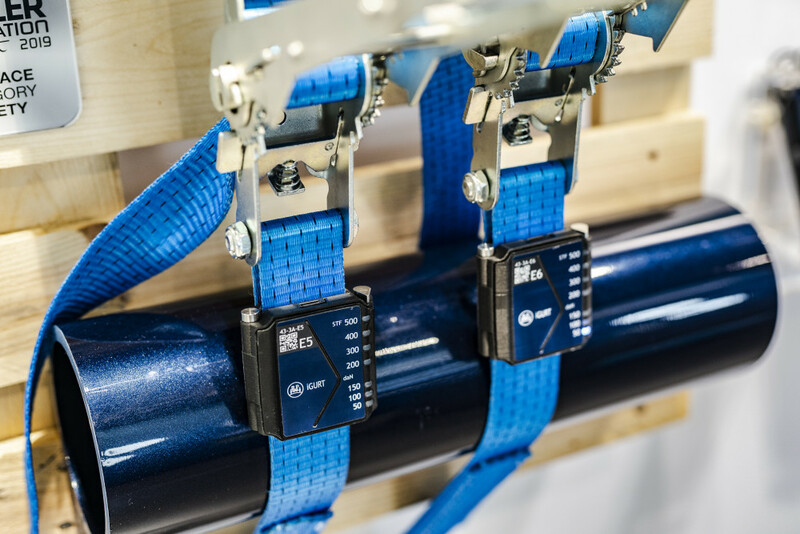 BPW introduces the prototype of a new and intelligent cargo restraint system at the "IAA Commercial Vehicles" fair.